Mesotherapy treatments for the management of small areas of stubborn fat deposits. Ideal for face / neck and select areas of the body in otherwise fit, healthy individuals. Mesotherapy sessions are used alongside exercise and diet regimens rather than as an alternative to them. Before treatment, you will need a consultation to assess your skin and review your goals and expectations and receive extensive information about the treatment with a personalised treatment plan for you. 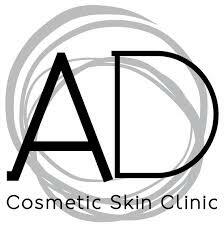 Here at Allure Derma, we are renowned for our premium products, safe and expertly performed treatments. Our highly qualified Registered Nurse and our team of experienced therapists will leave you with results that are effective, subtle and natural looking. Book, reschedule or cancel your appointments all in once place. Mesotherapy involves a very fine needle delivering a series of injections of vitamins, enzymes, hormones, and plant extracts to the targeted areas which tighten skin and remove excess fat. Before your treatment, you will be assessed, measured and photographed. An anaesthetic cream can be applied to the treatment areas if required and the area will be cleaned. Results will vary, some patients notice a visible improvement in two to three sessions, while others require several sessions to see any changes. Before your treatment, you will be required to have a consultation with our Registered Nurse and prescribing Doctor who will look at your health history, areas of concern for treatment to determine if you are a suitable candidate. Avoid Anti Inflammatory drugs, garlic, ginger, gingko, vitamin E, Fish Oils. Some clients may experience mild discomfort while receiving Mesotherapy. A topical anaesthetic can be applied in susceptible individuals at an added cost. The doses are rapid, of small volume and use the smallest needles possible. Patients who have severe liver or kidney problems, auto-immune diseases, are pregnant or breastfeeding, have high blood pressure and who are allergic to any components in the treatment are not suitable for Mesotherapy treatments. If in doubt of your current health status it may be advisable to have some baseline blood tests performed by your GP before treatment. Mesotherapy is not for weight reduction but rather for body sculpting in patients with normal weight range and who undertakes regular exercise. Patients who have an unrealistic expectation are not a candidate for this procedure. After treatment, there is swelling, tenderness, redness, bruising and temporary lumps to the treated areas. Other side effects are mild nausea, diarrhoea, fever, infection (rare) and allergic reaction to PPC (limited). There is also a chance of dysesthesia (numb sensation) to the treated areas which can last for a few weeks. Tiny lumps can form in the treated areas, and if these persist after six weeks, an injection of steroids can be administered to manage this. There is also a rare complication of skin necrosis – if you notice any pale or black discolouration of the treated areas, you should contact the clinic immediately. If there are any signs of infection, you should contact the clinic immediately. After the procedure, drink plenty of fluids and massage the treated areas. Do not use any cosmetic products or creams to the treated areas for 3-4 days. Generally, three – four treatments every two-four weeks apart are needed.